New motorcycles marked with the Motorcycle and Scooter Tagged Equipment Registration (MASTER) Security Scheme are less likely to be stolen in the UK. The MASTER Security Scheme was introduced to reduce motorcycle crime and based on 2017 theft stats, it seems to be doing the job. Of the 66,423 new motorcycles and scooters registered between January and July 2017, 42,254 were marked with the MASTER system while 24,169 went without. Of the 363 new motorcycles stolen over the first seven months of the year, only 21 per cent were marked with MASTER, despite accounting for almost 64 per cent of the new motorcycle and scooter market. More than 78 per cent of all new motorcycles and scooters stolen between January and July did not use the MASTER scheme. That means MASTER protected bikes are six times less likely to be stolen than those not marked. Steve Kenward, CEO of the Motorcycle Industry Association (MCIA), said: “The MASTER Security Scheme represents a significant investment by major brands and these figures confirm that the decision to invest in the official MASTER scheme was the right thing to do. How does the MASTER Security Scheme work? The scheme is administered by Datatag and is the first such security measure to be taken on nationally with the support of the MCIA. Alongside the MCIA, MASTER is also supported by police authorities up and down the UK, along with major manufacturers including Honda, Yamaha and Ducati. Those bikes built by manufacturers involved in the scheme come with a unique fingerprint, which is traceable in a police database. If a MASTER marked motorbike is stolen, police can use the database to trace the stolen bike. How does the unique fingerprint work? The unique fingerprint is compiled using a number of different pieces of technology to mark the motorbike. These include tamper evident warning labels, stealth UV etching and unique radio frequency identification transponders, along with visible signs that the bike is marked. According to the MCIA, it would be virtually impossible for a thief to remove all traces of the MASTER Scheme from a stolen bike. 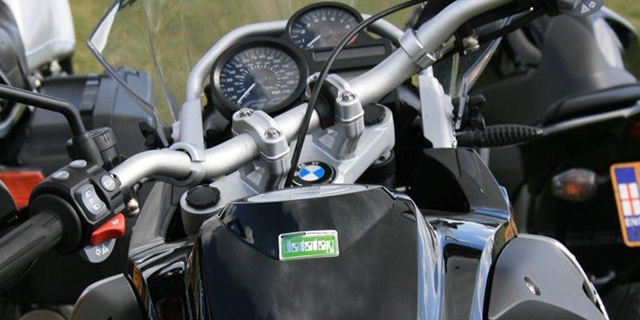 What do the new speed limiter laws mean for UK motorcycle riders?